Pressurised water cylinders, also known as unvented hot water cylinders, are an increasingly popular choice for homeowners all over Britain and it is easy to see why. Once connected to your water system, these types of cylinders will make large amounts of hot water available on demand with much higher flow rates than you have been able to achieve before. If you have been looking for a way to improve the performance of your bath and shower all year round, then Combi-Nation is here to offer you high quality pressurised water cylinders. This improved performance happens because unvented systems don’t have a cold water tank. Instead, a hot water cylinder is fed directly by the cold water mains. 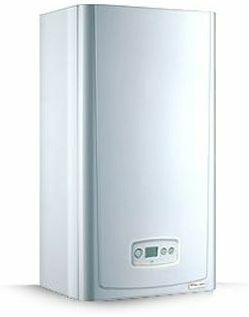 Pressurised water cylinders are heated either by immersion heaters or an alternative heat source outside, such as a boiler. Pressurised water cylinders like the ones offered by Combi-Nation will have pipework connected to them that distributes the hot water to different outlets around the house. When a tap or shower is used, the pressure of the cold water coming in will displace the hot water in the cylinder. When fitted with the appropriate pressure equipment, unvented cylinders are completely safe. Made from stainless steel, you can entrust the Combi-Nation team to carry out an efficient installation that is completely secure and in line with manufacturer recommendations. Opting for one of our pressurised water cylinders allows for additional space in your property. Because they don’t require a feeder tank in the loft, you will benefit from some added room. Additionally, it can be installed almost anywhere in your home. Another advantage of choosing a pressurised water cylinder for your property is significant noise reduction. Because there is no cold water that is filling up the storage cistern, you will not hear the intrusive noises commonly associated with alternative products. Because the system is fully sealed, the water will not be at risk of contamination and you will not have to worry about the tank freezing over during the cold winter months. High quality pressurised water cylinders such as the ones offered by Combi-Nation can last for decades when installed properly. Our team members will also be available for general checks and maintenance services to make sure that your system is still functioning to maximum capacity. Here at Combi-Nation, we are known for our competitive prices and unparalleled level of workmanship, as well as our fresh approach to customer service. We always ensure that our prices are market appropriate because we want our customers to get the best value for money when choosing us to install their new pressurised water cylinders. Each and every team member at Combi-Nation is an accredited professional with many years of experience and a great passion for what they do. We take great pride in our work, so you can always expect a service like no other which is carried out by courteous professionals. You can rest assured knowing that all team members have received the training and industry qualifications to effectively supply and install your new pressurised water cylinder.